Eric Standlee Standing Up for Christ or Using His Word to Defraud Fellow Christians? Thread: Eric Standlee Standing Up for Christ or Using His Word to Defraud Fellow Christians? Director of Private Funding and Bank Relations at American Prudential Capital, Inc.
Director of Independent Broker Program at American Prudential Capital, Inc.
Small/Medium Business Funding Independent Broker at American Prudential Capital, Inc.
EDI Systems Manager/Programmer at Access-EC, Inc.
Account Representative at American Prudential Capital, Inc. If you run across anyone who would be open to receiving hundreds of thousands or even millions of dollars for their ministry or faith-based non-profit without asking anyone for any money whatsoever? If we could take most of the fundraising responsibilities off their shoulders and help them accomplish their monetary goals in approximately 6-12 months, would you know anyone who might be willing to spend a few minutes to meet with our director? I am currently assembling a global team of entrepreneurs that will serve as an oasis for professionals seeking to combine their Christian faith with our exclusive Millionaire Mindset Conference and business opportunity. I am currently reviewing over 2000 professionals that have submitted their profiles, since we launched in September 2005. Our selection process focuses on a person's vision, drive to realistically earn a mid-6 to 7 figure income in the next 18 months, and a commitment to coach others in our Millionaire Mindset Conference program. Only 3 people have been selected for my team, as of November 2, 2005. If you would like to be considered, visit 7kovernover.com. I only included the detail on two of his listings as I didn't want to have a thread comparable to Gone With the Wind. He is hooked up with that snake Jack Weinzierl. Eric never had 2000 candidates to review for Advantage Cionferences. He had hits on his website. Folks were not beating down the doors to get into this religious scam. No more than 700 people joined this pyramid scheme, Advantage Conferences, and 98% of them lost money. Many were out thousands and thousands of dollars. One rep attempted suicide and another succeeded. The losses were horrific. In the linked threads Advantage Conferences losing suit with the Dallas Better Business Bureau is discussed and the court papers posted. That confirmed that Advantage Conferences was nothing but a pyramid scheme where 98% of those that joined lost money. My truthful blogging about that frivolous, groundless suit and posting of the source documents led Jack Weinzierl to make numerous lawsuit threats and Tim Darnell the owner to make good on his sleazy threats. The court documents show those laying scammers made all kinds of false criminal allegations of me stalking, threatening them and sending death threats. Those vicious lies were just the desperate tactics of liars who want to appear to be martyrs in the name of Christ in order to empty more innocent victims pockets. Notice that Tim Darnell set up a fraudulent charity to promote Advantage Conferences stealing 2 churches' names to do so. The top rep in Advantage Conferences, Jack Weinzierl was mentored straight into chapter 7 bankruptcy in August 2008 and Advantage Conferences itself imploded into bankruptcy in December 2009. The sleazebag Weinzierl pastors who were involved got in an online debate with me and bribed or threatened the owner of Scam to take that thread down. They proceeded to threaten me with litigation for sharing the truth about their refund against policy when no other reps were offered such refunds. Eric's mother Brenda Standlee was a Millionaire Mentor / speaker at two conferences. Eric is a vice president in her company. Their picture together at a conference is at the beginning of this thread. If she is such a successful millionaire business woman, then why is Eric having to get involved in numerous scams and schemes such as Advantage Conferences to make a living??? Last edited by Soapboxmom; 10-18-2011 at 08:00 AM. Black and White defending of those defamed by shameless posters with nothing better to do than slander otherwise good people. Dedicated to correcting of wrongs. Join the crusade. Link to these articles on your blogs and comment about them here with links to your comments on your blog so that we can develop a collection of the truth. Apparently Tim Darnell, CEO of Advantage Conferences, has done something right. He has people who don't know anything about him writing horrible things about him as a person and about his company using words like "scam". Having met Tim, and having known him for more than 8 months, I have seen into the real man. He has a mission to help entrepreneurs in all kinds of industries get invaluable information from people who have become millionaires and multi-millionaires in a amazing array of industries and fields. He also has a mission to raise very large sums of monies for faith-based organizations. And, he also has a foundation which doesn't just talk about doing good by has put faith into action and done a lot of good. His young company and what it offers unique to the marketplace is just what it seems on the many sites representing it around the internet. 'Nough said. He is getting the fundraising mission off the ground and appears to be well on the road to raising hundreds of millions of dollars for faith-based organizations. His foundation has already in the short time that it has been around supported orphanages in Guatemala, and low income families living in bad neighborhoods around America. On a regular basis he also serves as a chaplain for a prison, and he is active in his local church. Just like any slanderous/liabelous things you hear or read, you should attempt to understand from what you hear or read if the author/speaker really knows what they are saying or if they have an alternate motive for slamming on a person. Personally, I am tired of all the negative in this world. If I were tempted to be persuaded by something I read on an open forum, and I had no other place to turn, I'd call that person and talk with them in person. If they were selling me or too slick to be believable, then I might believe the slander, but if while talking to the person I felt the honesty and knew they just weren't the horrible person that I read about then I'd chose to ignore the negative. Believe what you want, but I chose to believe what I have seen with my eyes and heard with my ears. The proof is in the fruit being born out in his life. Defrauded Rep said... When we know we are doing what is right for the Kingdom of God, there will be persecution. Jesus taught in His Sermon on the Mount in Matthew 5:10-12. (NLT) He said, "God blesses those who are persecuted because they live for God, for the Kingdom of Heaven is theirs." In verse 11, Jesus said, "God blesses you when you are mocked and persecuted and lied about because you are my followers." verse 12, Jesus said, "Be happy about it! Be very glad! For a great reward awaits you in heaven. And remember, the ancient prophets were persecuted, too. Philippians 1:28-30 (NLT), Paul said, "Don't be intimidated by your enemies. This will be a sign to them that they are going to be destroyed, but that you are going to be saved even by God himself. For you have given not only the privilege of trusting in Christ but also the the privilege of suffering for Him. We are in this fight together. You have seen me suffer for Him in the past, and you know that I am still in the midst of this great struggle." It is very hard to be glad and happy when lies are spoken about us. However, the comfort and healing is the "reward awaiting in heaven" for the persecution we endure here in this life. People can hurt us deeply by what they say against our good works, but as children of God we must draw strength and comfort from the suffering of lies and persecution brought against us. Satan uses the weakest links (negative people) to try to destroy us. With SUB (sustained unwavering belief), no one can destroy us. I have been involved in good community services for several years now; and I have had lies told about me. At first I was so blown away and hurt with this demeanor but the Holy Spirit quickly led me to the above scriptures for comforting and healing. I am confident Tim Darnell draws strength from Jesus teachings in sermon on the mount. Tim is humble and bold in His witnessing for Christ. He is a fine example of a Godly mentor. I, so appreciate his Godly spirit and how his spirit has impacted my life for Christ in these few short months. Catherine said... Amen Eric. This is long overdue!! I am so blessed to be part of Advantage Conferences and to call Tim Darnell my friend and brother in Christ Jesus. His selfless attitude to everything he does and his true giving spirit is like none other I have ever encountered in business. I know without d-o-u-b-t that he a genuine Christian and I pray that he will be blessed beyond measure. We love you Tim. May God be Glorified in all you continue to do - forver! The first rep to comment sought legal advice, but the cost of litigating from out of state to recover losses was too high. That rep also had a lawyer check out the Treasures for the Kingdom Charity. The attorney said the charity was not registered and was not legitimate. That rep found out that Tim Darnell and Jack Weinzierl were totally dishonest and the business was a complete scam. Another wonderful Christian, generous and caring person who was burned by scoundrels. Darnell's dishonesty and obvious scam got him removed from the prison ministry in Texas. They also learned he had threatened people in his own church and the McKinney, TX police had to respond. His fabrications of being stalked by and receiving death threats from me also figured into his being barred from the prison ministry and teaching Sunday School at this church. After all, he stole their name to set up his bogus charity. Tim Darnell made the horrific mistake of suing me. It simply proved there was never any slander, libel or defamation. I was proven to be 100% facts, truth and opinion! Thought I'd share another positive note I received about Tim Darnell of Advantage Conferences. The pack will only travel as fast as the leader. What a great example Tim set with his SYG initiative. Great leadership is so hard to find in today's society. Fortunately we don't have to look very far in our organization. This initiave not only helps us monetarily, but sets the standard for how we should carry ourselves as leaders. Jack needs to take a bow as well. His vision and leadership is awesome, just a fantastic learning experience for me. Thank you both for adding another set of rocket boosters to our businesses. With People that I know and trust saying these sorts of positive things about Tim and Advantage Conferences, those "scam" comments on open forums by annonymous writers look silly don't they. Millionaire Mentor said... Great post. I agree wholeheartedly!!! We do have great leadership with AC...and great training. Sam is the most wonderful caring soul. He left deeply pained by his experience. He watched in horror as everyone under him lost their money. All he wanted was an honest opportunity and a chance for more time with his beautiful family. Millionaire Mentor left disillusioned and harmed as well. She wanted to join the other reps in a suit to recover her losses, but simply had been too ruined financially to scrape up the money to pay legal fees. She learned that Jack Weinzierl with all his claims of wealth and success was nothing at all like he presented himself to be. Tim Darnell and Jack Weinzierl and nothing more than well dressed thugs who used the Word of God as their weapon of choice to defraud people. Last edited by Soapboxmom; 09-11-2011 at 01:27 PM. Hi Eric, as I've become more acquainted with more people in AC it is so apparent we all have been through a lot of struggle...some monetary, some concerning marriage and loss, whatever. But I'm reminded of a teaching I heard about David's group of men that were disgruntled, destitute, and there was a third 'd' in there. 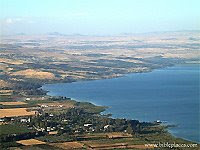 They banded together under David's leadership and eventurally grew to became known as the mightly men of God. They became mighty together. So many of us have come into AC with giants looming but we are arising a mighty force. A mighty force for God to bring much into the kingdom and to help many people. How awesome to be here for such a time as this. Claudia is a Christian Entrepreneur building a million dollar Christian education business. She was impacted to be sure. Another victim who wanted to sue but didn't have the funds to do so. This rep desperately wanted a refund as her losses were so horrific. No one in that scam ever built a million dollar Christian education business. 98% got burned and many were out thousands and thousands of dollars they could not afford to lose! She discovered that I was sharing the truth all along and Tim Darnell, Jack Weinzierl and their ilk were the liars. Sadly, many paid such a heavy price for their involvement in what seemed so Christian and honest and some will never recover. Here are the testimonies garnered after the religious and financial cult weekend meeting and brainwashing session in October 2006. Again, most lost thousands of dollars. Jack Weinzierl is probably the only one left that has a relationship with scammer Tim Darnell and Judy Sterling took her own life after losing everything in this scam and ending up in chapter 7 bankruptcy herself. These bogus testimonials should have been pulled down a long time ago as this pyramid scheme has imploded into bankruptcy and those folks are no longer involved. I have communicated with some of these defrauded reps and many fought very hard to get this very material removed from the internet. Think how different the testimonials would be now that the Koolaid has worn off!! !